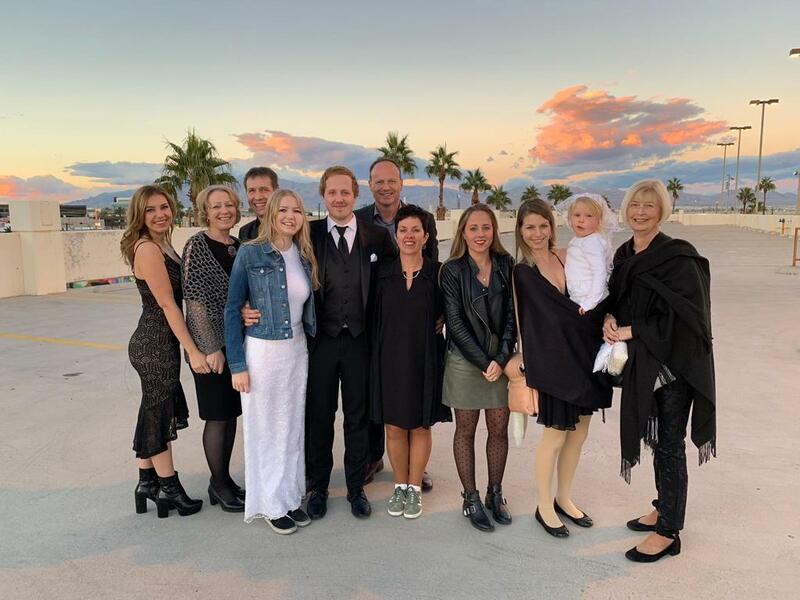 November 30th was our big day: Koen and I got married in Las Vegas! We were looking forward to this day for many years. We have always known we wanted to get married on November 30th: our 10 year-anniversary. It was such sweet and perfect day. Everything went as planned and the weather was great unlike the days before. We were surrounded by our parents, sisters and extended family from San Diego. 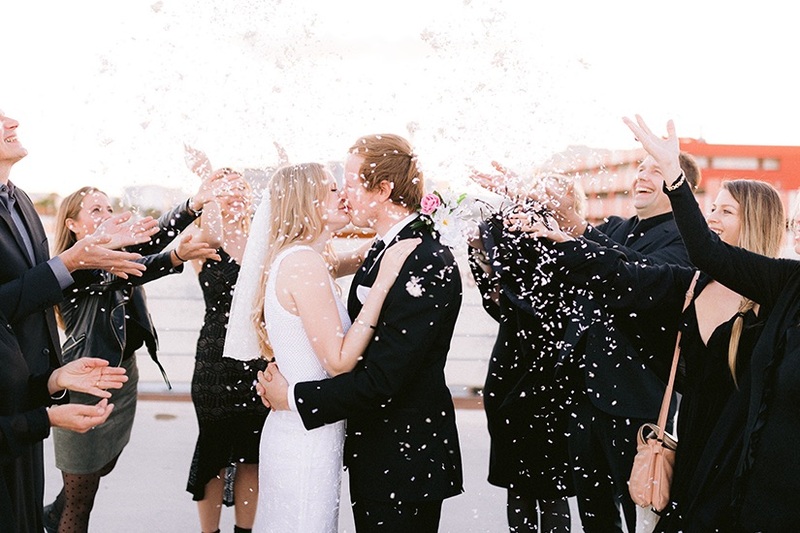 We chose a special location which is quite different than what you might expect: a rooftop downtown Las Vegas with a beautiful view on the strip and mountains. Our initial plan was to get married in a typical wedding chapel, but when we heard about this wedding pop up concept, we immediately knew this was what we wanted. Unique, cozy, beautiful, fun. Vela, my 3-year-old mini-me from San Diego, was our flower girl. Vela has FIL and looks just like me when I was her age. I’ve met Vela and her family in March 2018 and couldn’t stop talking about her. As she lives close to Las Vegas, my mom and Vela’s mom Stephanie secretly arranged that they would attend the wedding as a surprise. If you’re curious about my wedding dress, you can read my full blog post here. It’s a crochet wedding dress which I’ve made together with my mom. It took us months to design and crochet, but it turned out just the way I wanted! Mom even made a mini crochet wedding dress for Vela identical to my dress. So cute! You can watch our after movie on YouTube and see more pictures here.